Besides its usefulness cleaning walls, tables and shoes, theMr. 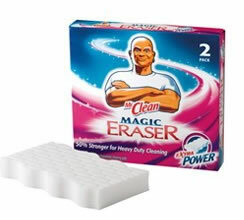 Clean Magic Eraser is excellent at cleaning many Apple products. If your white MacBook is starting to look brown and your Apple iPad Case has stains from who knows where, the Magic Eraser just may be your solution. The Magic Eraser and similar products are made of Melamine foam and, for consumer household use, acts like extremely fine sandpaper. This allows it to get into tiny grooves and pits to “erase” stains. Per instructions on the package, just add some water to the Magic Eraser and begin gently — and I repeat, gently — rubbing it on the surface area of what you’re cleaning. As you’re dealing with electronics, it’s a good idea to turn off the device and not use too much water. With the Magic Eraser, I was able to remove all the grease from my burgers and French fries from my Apple iPad case. It looked almost new again. Although Mr. Clean’s Magic Eraser is one of the more commonly known brands of Melamine foam-based cleaners, others exist. They include the 3M Scotch Brite Easy Erasing Pad and the Nano Sponge. Store brands, which are commonly less expensive, also exist and I’ve found them to work just as well as national brands. As is the case with cleaning anything expensive, especially electronics, it’d be wise to be extra cautious. This includes test cleaning on a small area, and not over applying water. TUAW assumes no liability for any damage to your equipment caused by the use or misuse of this product. 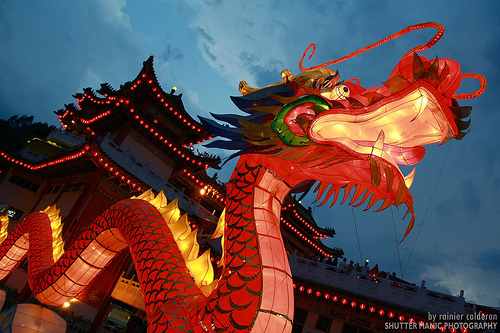 This article is published by TUAW, click here to read the original article. Facebook users can now record voice messages and post them on the walls of friends through Voice Wall, a newly released service from Society.me. Users call a designated phone number, select a friend using a touch-tone system, and their voice message appears in a streaming audio player on the friend’s wall. Voice Wall equips Facebook with an intimate communication medium that could prove especially useful to mobile users without a smart phone or data plan. Voice Wall offers functionality in exchange for a user’s mobile phone number, email address, and constant account access privileges through the Facebook Platform. One shortcoming of the service is that the wall posts contain bland, uninviting auto-populated text which users can’t alter. Links on the wall posts feed back to Society.me’s core product, a question and answer site focused on quickly returning a large volume answers, sometimes at the sake of quality. They also provide a service called fb140, which lets you to quickly find and follow any of your Facebook friends who have Twitter accounts. Voice Wall’s streamlined interface offers a warm, familiar way to interact with friends in addition to Facebook’s native text, photo, and video. It could facilitate sending very personal birthday messages, or allow users to recount a story with their own vocal inflection. It joins Facebook Text Messages and 0.facebook.com as a way for mobile users without reliable internet capabilities to interact with the site. While productivity-focused YouMail allows users to save, forward to email or post existing voicemail to their own wall, its complex web interface and lack of sharing options make Voice Wall more versatile when it comes to Facebook. This article is published by Indside Facebook, please read the original article here. Now you can get Android on your iPhone 3G! The developers over at LinuxoniPhone say they’ve got multitouch and WiFi running for Android on iPhone. But when this was released for 2G iPhones, the modders warned that it would be pretty simple to port it forward to the 3G – whereas the 3GS is going to take a lot more work. So don’t hold your breath. This article is published by GoMo News, read the original article here. This article is published by Search Engine Land, read the original article here.